Envisioning Landscapes Of Our Very Distant Future : 13.7: Cosmos And Culture Nuclear waste repository projects may be developing some of the best tools for re-thinking humanity's place within the deeper history of our environment, says anthropologist Vincent F. Ialenti. An aerial view of Posiva Oy's prospective nuclear waste repository site in Olkiluoto, Finland. A few minutes before my flight to Helsinki touched down, I looked out the window at Finland's flat, snowy, forested landscape. It appeared still and serene. It was December 2011, and I was moving to Finland to conduct anthropological fieldwork among experts developing what might, in the early 2020s, become the world's first operational geological repository for high-level nuclear waste. As an anthropologist, my goal was to examine how these experts think about the future, how they conceive of the world around them, and how they relate to themselves and to their colleagues. My main interest was in Finnish nuclear waste management company Posiva Oy's Safety Case project — which challenged experts to forecast geological, ecological and climatological changes that might befall the repository site in Olkiluoto, Western Finland, over the millennia. What sort of scientific ethos, I wondered, do Safety Case experts adopt in their daily dealings with seemingly unimaginable spans of time? Has their work affected how they understand the world and humanity's place within it? If so, how? If not, why not? To pursue these questions, I would live in Finland for more than two and a half years. I would converse with the Safety Case experts in person. I would read their technical reports, hear out their critics, mull over Michael Madsen's 2010 documentary about them and visit them at work. I would get coffee, lunch or drinks with them whenever possible. To understand Finland's distant futures anthropologically, I would learn to see them through Safety Case experts' eyes. During my fieldwork, Posiva's Biosphere Assessment (BSA) project piqued my interest. The BSA is an elaborate forecast of potential changes within Olkiluoto's surface-level ecosystems during the 10,000 years from 2020 to 12020. The BSA also projects paths that radionuclides might take if they were to escape from the repository, to make their way upward through groundwater channels, and to then disperse on Earth's surface. The BSA seeks to demonstrate that radiological consequences to future humans and other organisms would not exceed regulatory limits — even in the most severe distant future leakage scenarios. For the Safety Case experts, the BSA was but one report developed for submission to Finland's Ministry of Employment & the Economy (TEM) and to Finland's Radiation & Nuclear Safety Authority (STUK). 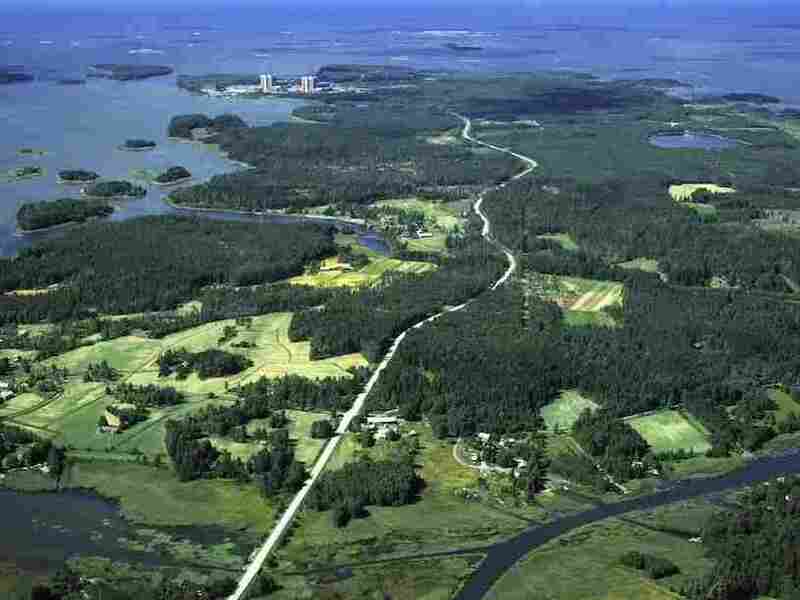 It was part of Posiva's application for a permit to begin formal construction of its prospective Olkiluoto repository. For me, as an anthropologist, however, the BSA became something very different: It became a tool helping me see Finland's landscape's distant pasts and futures in a new way. This became evident to me in December 2013, when I looked upon Finland from an airplane window once again. I realized then that something about my sense of its landscape had changed. Rather than stillness and serenity, I saw a terrain on the move. I imagined the enormous Ice Age ice sheet that, 20,000 years ago, covered the land below. I imagined Finland decompressing when this enormous ice sheet later receded — its shorelines extending outward as Finland's elevation rose ever higher above sea level. I imagined coastal areas of Finland emerging from the ice around 10,000 BC. I imagined lakes, rivers, forests and human settlements sprouting up, disappearing and changing shape and size over the millennia. I then considered the challenge BSA experts confront in projecting how this landscape will change in futures near and distant. At what pace will Finland's shoreline continue expanding outward into the Baltic Sea? How will human and animal populations' habits change? What happens if forest fires, soil erosion or floods occur? How and where will lakes, rivers and forests sprout up, shrink and grow? What role will climate change play in all this? The BSA taught me how to see a Finland in flux — a Finland dwelling within the long timespans of what historian Martin Rudwick or physicist and science fiction author Gregory Benford might call "deep time." I reflect, now, on how my anthropological fieldwork altered my own sense of our planet's landscapes. I reflect on what insights we, as inhabitants of a planet wracked by environmental crises, can glean from the BSA's data-driven, highly-technical grappling with Earth's radical long-term. I will close with one such insight. Many suggest we have entered the Anthropocene — a new geologic epoch ushered in by humanity's own transformations of Earth's climate, erosion patterns, extinctions, atmosphere and rock record. In such circumstances, we are challenged to adopt new ways of living, thinking and understanding our relationships with our planetary environment. To do so, anthropologist Richard Irvine has argued, we must first "be open to deep time." We must, as Stewart Brand has urged, inhabit a longer "now." So, I wonder: Could it be that nuclear waste repository projects — long approached by environmentalists and critical intellectuals with skepticism — are developing among the best tools for re-thinking humanity's place within the deeper history of our environment? Could opening ourselves – as BSA experts do – to deep, geologic, planetary timescales inspire positive change in our ways of living on a damaged planet? Vincent F. Ialenti is a U.S. National Science Foundation Graduate Research Fellow and a PhD Candidate in Cornell University's Department of Anthropology. He holds an MSc in "Law, Anthropology & Society" from the London School of Economics. Look for more on deep time from Vincent in 13.7 in the coming weeks.